Taxi aggregation company Ola will soon extend free WiFi services to users across segments including Micro, Mini and even autorickshaws. The taxi-app firm currently offers in-car WiFi services to users of its Prime category. "Users with a one-time authentication on their phones, can use Ola Wi-Fi on their devices without having to key in login credentials and passwords in subsequent rides, staying connected with Ola's secure network whenever they take a ride." "Ola WiFi addresses the need for consumers to be connected to the Internet while on the go, without the hassles of having to use unique credentials every single time." He added that the auto-connect WiFi is currently available for free in Ola Prime and "will soon be available across all categories including Micro, Mini and Auto-rickshaws available on the app". He however declined to comment on the timeline or investment details for the initiative. The company charges a base fare of Rs 100 (first 4 kms) and then Rs 10 per km in Delhi for its Prime category cars that offer in-car access to Internet. For Mini, users pay Rs 8 per km, while the base fare remains same as that for Prime. 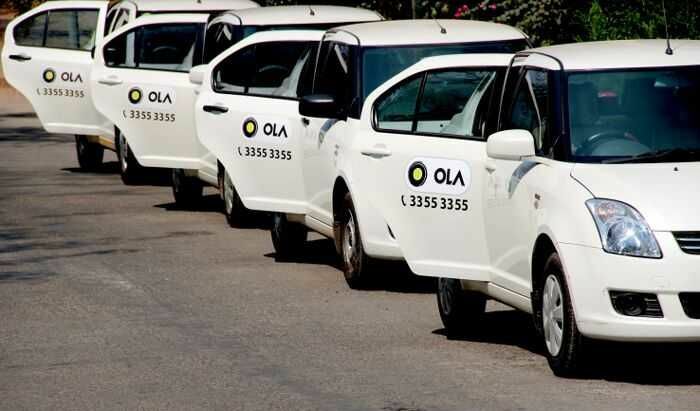 He added that over 200TB of data was consumed on a monthly basis by users of Ola Prime, which made available high speed WiFi in-cab with a standard authentication process.